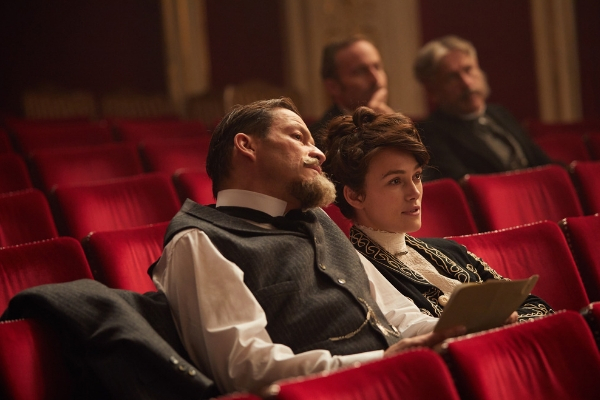 Colette (played with sumptuous feistiness by Knightley, Atonement 2007) arrives from the countryside as a young bride to Henry Gauthier-Villars, known as Willy (Dominic West, The Affair), an older, notorious literary entrepreneur, and she is immediately swept into flamboyant, libertine society. At Willy’s prompt, she takes pen to paper and invents the loosely autobiographical Claudine novels, which take Paris by storm. The character Claudine becomes a veritable pop-culture icon, but Colette does not, since Willy takes authorial credit. To reclaim her literary voice, Colette must set out for new adventures, sans Willy. One of France’s most important and ground-breaking twentieth-century writers, Colette’s dozens of volumes of provocative fiction, memoirs and journalism jubilantly bucked the societal constraints that were placed on women. Writer and director Wash Westmoreland’s (Still Alice 2014) mesmerising film tells the story of this iridescent artist’s creative awakening in turn-of-the-century Paris, a place as dynamic and modern as she was.